This glamorous fresh vehicle was released at the Tokyo Auto Salon back in 2005. At the time, its popularity monopolized the industry by being plastered on almost every automobile publication out there. Achieving many recognitions, its popularity trickled across the Pacific, ending up as the star role of a big box office Hollywood picture. The beauty of this machine has the ability to persuade people who has no interest in cars to look twice about the sport drifting. To provide our readers with some classified information, all we can disclose is that there were 10 replicas created of this machine for filming and promotional purposes. Back to the machine, Veilside had created the Fortune Model body kit based on the concept of an armor. The exterior styling has a menacing battle look yet still keeps it cool in a elegant manner. It greatly portrays Veilside's level of work in the industry. The vehicle displayed in the photos is an exact replica that Veilside had built for promotional uses. The paint and the entire build up are identical to the one in the movie. 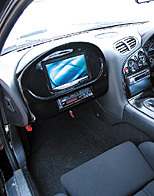 The interior is decorated with D1-R racing seats with a TV monitor on the passenger side. The gorgeous styling was an attempt to exemplify how today's street racers create their interiors. The rear audio board may look as though it a custom piece, but on the contrary it is a component readily available on the market. The rear seats must be taken out for this spectacular audio setup. The rear hatch and the wing can be mounted on a stock bodied FD3S. 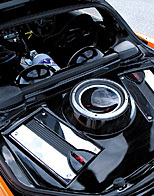 However, the body kit must be used as a whole and will not work with just individual pieces. One of the best parts of the Fortune Model kit is the headlight assembly. The sharp and oversized headlights make the car look as though it's glaring at its prey. Pictured are a set of 19 inch Andrew Racing Revolution wheels. The rear sits on negative 34 offset 12J that goes very well with the blister fenders. Everything pictured is made by Veilside. Wouldn't it be cool if they drifted these types of cars? "This Fortune Model came out 2 years ago and ever since, we have getting lots of inquiries especially from overseas. 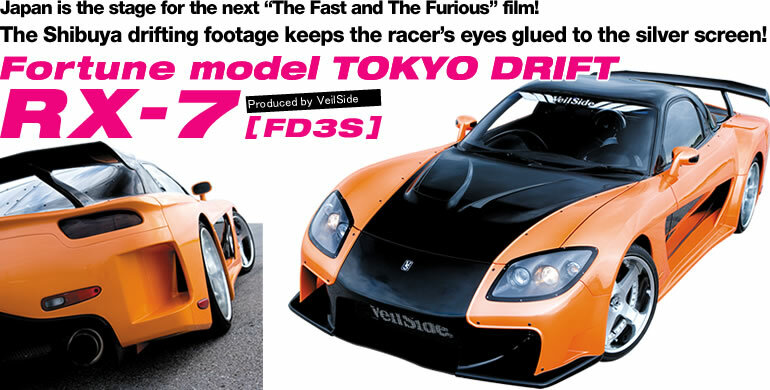 You can say that this is the body kit that help spread Veilside's name across the world. This vehicle was used as one of the main character's cars in the movie Wild Speed x3. After the movie premiers I am hoping the vehicle might create a new trend within the enthusiasts. I will be ecstatic if people will come up to me and tell me how cool this car is after seeing the movie."